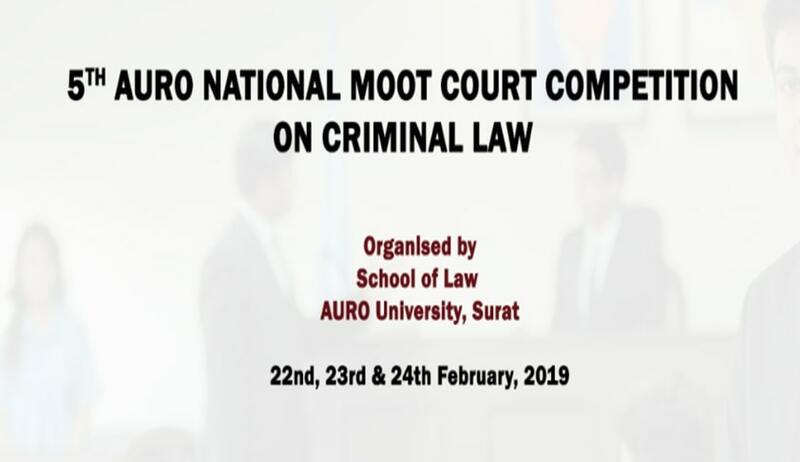 The Moot Court Society of Auro University, Surat, is organising the 5th Auro National Moot Court Competition on criminal law. Dates: 22nd to 24th February 2019. Venue: Auro University, Surat, Gujarat. For further details and the moot problem, click here.